BUFFALO, N.Y. -- Fit4D, a leading tech-enabled diabetes management company based in New York City, and WellCare of New York, Inc., a WellCare Health Plans, Inc. (NYSE: WCG) company, announced today a partnership to deliver Fit4D's personalized coaching program to WellCare members living with Type 2 diabetes in the state of New York. Today, more than 2 million New Yorkers are living with Type 2 diabetes—a condition that disproportionately affects minorities and low-income households. As a leading provider of managed care in the state, WellCare is committed to helping its members manage their condition, reduce their risk for complications, and improve their overall health and well-being. The Fit4D coaching program combines two important elements: a Certified Diabetes Educator (CDE) who delivers personalized care along with a technology platform that enables scalability. The collaborative program will connect WellCare of New York Essential Plan members with Fit4D CDEs who will deliver personalized, one-on-one diabetes coaching via multi-channel communications including telephonic, mail and face-to-face coaching. Members will receive education and support to help them with diabetes self-management, including tips and tactics to initiate therapy and improve medication adherence; information about preventive care, nutrition and exercise; and guidance to overcome psychosocial challenges, such as depression or anxiety. "We are excited to partner with WellCare to deliver meaningful education and support to its members living with diabetes in New York," said David Weingard, CEO of Fit4D. "Diabetes is a complex condition that requires ongoing, personalized care and treatment. Our team of experienced clinicians will offer needed education and support to help WellCare members manage their condition, leading to improved health outcomes and better quality of life." 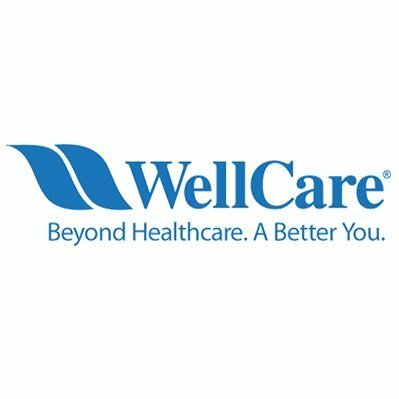 "At WellCare, we are committed to providing innovative solutions that help our members live better, healthier lives," said Dr. Richard Petrucci, chief medical officer, WellCare of New York. "Fit4D's personalized coaching program complements WellCare's existing care management resources and will provide yet another avenue to help our members living with diabetes manage their condition and improve their overall health and well-being." With a moonshot mission to transform the lives of people living with diabetes, Fit4D delivers scalable and effective diabetes management programs through an optimized mix of Certified Diabetes Educators (CDEs) and technology to deliver measurable outcomes in an affordable manner. The Fit4D clinical team is comprised primarily of CDEs with clinical credentials as nurses, registered dietitians, pharmacists, exercise physiologists, social workers and more, who are passionate about empowering people with diabetes to live rich, healthy and fulfilling lives. Fit4D partners with leading health plans/providers seeking to improve quality measures and pharmaceutical/device companies seeking to improve medication adherence. Fit4D has also engaged in numerous joint initiatives with the Juvenile Diabetes Research Foundation, American Diabetes Association, the Diabetes Research Institute and the American Association of Diabetes Educators. For more information visit http://www.fit4d.com. Headquartered in Tampa, Florida, WellCare Health Plans, Inc. (NYSE: WCG) focuses primarily on providing government-sponsored managed care services to families, children, seniors and individuals with complex medical needs primarily through Medicaid, Medicare Advantage and Medicare Prescription Drug Plans, as well as individuals in the Health Insurance Marketplace. WellCare serves approximately 5.5 million members nationwide. For more information about WellCare, please visit the company's website at www.wellcare.com.